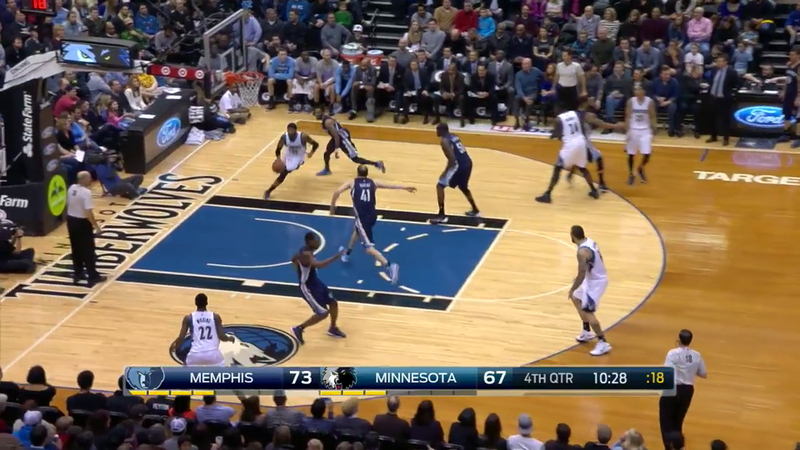 Gary Neal has been bad at shooting the basketball. His poor percentages and an abundance of players at the wing positions to replace him make this a beneficial trade for us (at least in the short term, that being the goal for this transaction – to find a point guard while Kemba Walker is out). It’s that simple. However, as previously covered by me here, it’s fair to conclude that Neal has had one of the poorest shooting seasons ever, if not the single worst. To shortly recap, he’s a supposed three-point specialist who put up an embarrassing streak of pathetic shooting from long range that ranks among the all-time worst. Only four players (a washed up Gilbert Arenas, rookie Kemba Walker, the Warriors version of John Starks and an old an erratic as ever Vernon Maxwell) have shot at his volume and as badly as Neal has for the whole season. His percentages haven’t gone up since concluding that in that particular column. It’s somewhat easy to pile on Gary. To be fair, he has played his share of minutes alongside limited offensive players which has forced him to take on a huge role on offense (his usage rate of 24.5% is on par with players like Greg Monroe). With his game being centered around long twos off curl screens, it can be difficult for him to maintain good percentages even if some of the bench unit combinations received a spark upon Marvin Williams joining them (my favorite one being any line-up that features the four of Biyombo, Marvin, Neal and Roberts, as previously mentioned here). The Gary Neal experience this season has been disappointing all around though. Him being inserted alongside the starters has generally produced horrible results. Among the five most-used line-ups that feature Gary Neal and the starters only one has had a positive net rating (three of them are worse than -11.1 per 100 possessions). It isn’t a coincidence that it features Michael Kidd-Gilchrist, who can make up for Neal’s defensive shortcomings. Meanwhile the Al Jefferson, Kemba Walker and Gary Neal line-ups have been beaten by 8.3 points per 100 possessions, while clocking a considerable 225 minutes. Mo Williams will have his work cut out for him, just like Gary Neal had, whenever trying to lead a bench unit. When compared to Brian Roberts, he does have a few things working in his favor though (defense is not one of them, by the way). Both of their games are overly reliant on pull-up jump-shooting and neither do exactly break down defenses, an ability our Hornets team desperately lacks. Roberts has driven to the basket (a touch that starts at least 20 feet of the hoop and is dribbled within 10 feet of the hoop, per SportVU at stats.nba.com) on 3.8% of his half-court touches, while Williams has got to it 6.1% of the time. To put that into perspective, our best driver is Kemba Walker who drives on 10.5% of his half-court touches (other notables – Jeff Teague is at 16.2%, James Harden is at 16.6%, while Tyreke Evans is at a beastly 20.2%). Williams though, despite attempting a very obvious career low of field goals around the basket (6% of his field goal attempts come at the rim, 7.8% between 3 and 10 feet, two very low numbers), is a willing creator for others when he gets there. What he lacks in points scored on drives when compared to Roberts (and Gary Neal, for that matter), he makes up by distributing the ball (Williams is close to having produced twice as much points for his team on drives than Roberts has, albeit he has driven more to the basket, of course). There is something to him claiming in a conversation with Rick Bonnell that he’s become better at decision-making than he was in his first years in the NBA. Williams this season has posted career-highs at assists per 36 minutes (8.2) and at assist percentage (an estimate of the percentage of teammate field goals a player assisted while he was on the floor, Mo is at 37.3%, good for the 11th spot in the league), per Basketball Reference. While extensively watching film of his performance this season, a certain savviness to him navigating the pick-n-roll can be seen. Mo can bend the defensive coverage to his liking and knows what he intends to do on the play before it happens. He is capable of driving with the ball in the right direction just enough to lure the big away from the play and force the help defender to choose between the screen setter and his original assignment. That’s Williams drawing Gasol’s attention just enough with a jump before making his decision to force the Spaniard to commit and having meanwhile already snuffed out the direction in which Z-Bo is headed to. 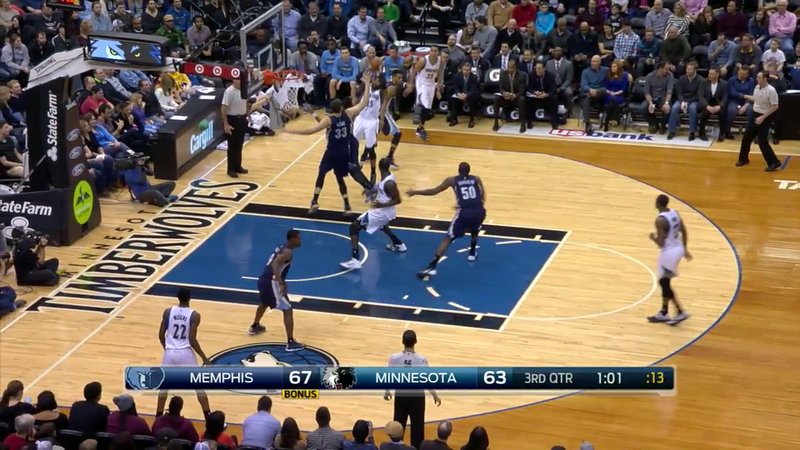 Randolph opted to retreat to the shooter, only to leave Gorgui Dieng open for a dunk. Passing in the pick-n-roll isn’t the only aspect of the game that separates him from the sometimes comatose, even though admittedly safer Roberts. He’s not quite the quick hand Neal is as Gary has twice as much shots coming with his defender being closer to him than two feet (15.8% of Neal’s FGA come in such situations, Roberts is at 8.6%, Williams – 8.1%). Williams has been more willing (to be precise, 45.0% of his shots come in this situation, 35.9% for Roberts) to put it up with the defender being between 2 and 4 feet within him, while Roberts unsurprisingly stands out in the amount of shots he takes when he is wide open (a defender isn’t closer than 6 feet) – 22.3% of his shots come in such situations to Williams’s 11.4% (and Neal’s 7.5%). I do view the trade as a positive transaction as we acquired the best player involved in the deal. Even if I believe that Mo Williams alone doesn’t move the needle and there are larger issues at hand that can prevent us from reaching the playoffs or performing respectably in round one, I do understand the need for Williams. Even if Gary Neal had, perhaps, performed better and we hadn’t gotten the better player in the transaction, it would be a shake-up necessary just for the sake of coach Clifford who’d like to have an extra available point guard. Moreover, it frees up a rotation spot and playing time for our own P.J. Hairston and Jeff Taylor. We might as well have our own first round pick Hairston chuck up all of Neal’s shots or give Taylor a chance to prove his defensive potential coming off that Achilles tear. 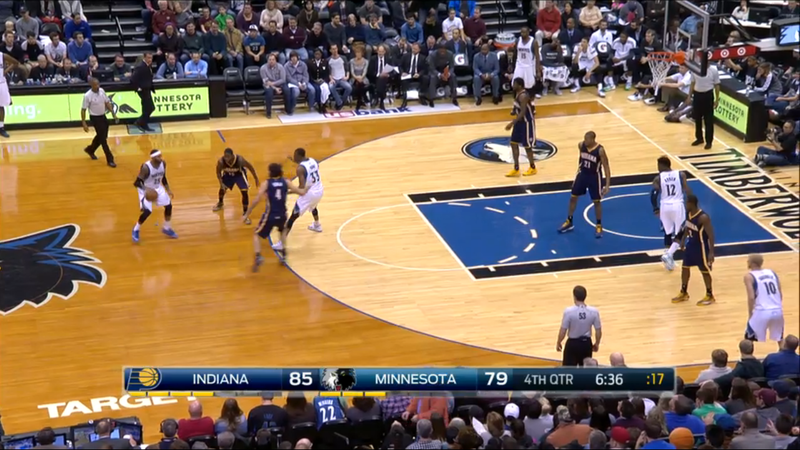 Heck, we can even give Troy Daniels a shot. However, dedicating extra resources to look for second round talent couldn’t hurt either. Even if the overall awareness by players and their agents (just take K.J. McDaniels as an example, who bet on himself and signed a one-year unguaranteed deal with Philly) has increased, teams still hold the advantage in these situations. Second-rounders will usually come at the price of minimum or sometimes unguaranteed deals. If you find a real gem among them, you pretty much can exploit the guy for three or four years (if that can be said about a person who plays basketball for a damn good salary). Since Rich Cho was hired by the Charlotte professional basketball organization we’ve traded away three of our four second round draft picks, with this now being the fourth of such instances (even if it was a pick previously acquired from Miami and slated to come our way in 2019). Sending a pick (which would become the Spaniard Alex Abrines) to Oklahoma City in the Byron Mullens trade is defend-able. It’s a flier you can take to give a seven-footer with three-point range a chance. The two others were the types of deals where a second round pick (Jeremy Tyler in 2011 and Dwight Powell in 2014) is dealt for cash considerations, one of the most fascinating obscure NBA sub-plots. Does trading a pick for “cash considerations” mean that Michael Jordan had lost a bet on a golf course? Is there a certain point in the golf game, let’s say, $100,000, at which you can either pay up in cash or send the other owner a second-rounder? Or do the smarter GMs go drinking with other front office people during the All-Star break, only to pour shots out over their shoulders (a la Karen Filippelli from The Office) and then coax the drunk GMs into giving up picks for nothing? Either way, we do have a long track record of either flipping them for cash or uninspiring NBA role players. Two picks (both in the early 30s, by the way) for Eddie House and Melvin Ely, anyone? Or how about two picks for Kareem Rush? The following is a fact. We, the modern-era Charlotte Horncats (starting with the year of 2004, the first Bobcats season), have yet to draft a second-rounder who could be called a competent NBA rotational player. I, perhaps, like Derrick Brown’s potential than anyone else but there is a reason why he is playing in Russia for a couple of years now. A season where he averages 10 minutes per game is a success for Ryan Hollins. In some ways the jury is still out on Jeffery Taylor, however, if he had been on any other team’s roster chances are he might have been unemployed by now following that Achilles injury and a domestic violence charge. Of course, everybody isn’t exactly bringing in perennial all-stars who were drafted that low in the draft. For every Manu Ginobili the Spurs found, there were five Romain Sato’s and Sergei Karaulov’s. While acknowledging that the pick wasn’t initially ours, I would at least expect our organization to go through some of these guys to attempt to find that diamond in the rough. Otherwise, we’re still one of the very, very few franchises that haven’t found even one good NBA player in the second round since 2004. The move to give up the pick for cash considerations can be called nothing but cheap. Don’t get me wrong, I’m not claiming that a single second round draft pick swung the trade in Minny’s favor. This was moreso a relevant chance for me to look at our draft history. Giving up a pick that is most likely destined not to become an actual NBA player alongside Neal for Mo Williams, even if only for a three-month rental, and basically someone who’s equivalent to a second-rounder in Troy Daniels is fair. As I said before, it addresses a current need at the point guard position and frees up playing time at the two guard. I, however, do find it unlikely to change the success of our season. This entry was posted on February 12, 2015 by ReinisLacis in Charlotte Hornets blog and tagged Gary Neal, Mo Williams, Troy Daniels.